What Makes a Choice Interesting? Recently I was on a panel at Pax Prime, discussing indie role-playing games. During the Q&A, someone asked a really good question. Good enough to take up a little sacred space here in my blog. What makes a choice a player has to make an interesting one? There is one thing I have purposefully left off this list: It is not necessary for the decision to have a major impact (or any impact) on the game at all. Sure, if you're making the player make lots of decisions, you should try to make some of them eventually count. But it is legit to have a character ask the player's opinion about an issue and then have that answer not affect the game. Sometimes it's useful to have the player make decisions for role-playing and world-building purposes. I've long been a huge fan of stand-up comedy. The other night, after a really good Patton Oswalt live show, the friends I went with asked me if I could recommend anyone else to check out. My answer was a long, long list. They asked me to write it up as an e-mail. Then I remembered that I have a blog that needs filling with fresh content! Man, but I love Content. So. Stand-up comedy. It is a huge and varied field. If you're the sort of person that likes to split up a huge, varied field into two arbitrary chunks, and yes, I am that sort of person, stand-up comedy can be split in two arbitrary chunks. The first chunk is big, mainstream comedy. Larry the Cable Guy. Bill Engvall. Jeff Dunham. Jeff Foxworthy. Dane Cook. Jay Leno. Mainstream comedy tends to be fairly unchallenging stuff, such as observations about the differences between the sexes (or the races, or the sexual orientations). I am a contemptible big-city latte-swilling elitist, so I don't know much about such things. The second chunk is alternative comedy. A bunch of weedy little nerds, playing smaller halls full of people you'd probably want to beat up to take their lunch money. People like me. Comics in this arbitrary chunk tend to me more odd and experimental, with surreal or character-based humor, weird delivery, lots of unpredictability, and occasional jaunts into the dramatic, the disturbing, and the painfully offensive. They tend to be liberal, but not always. Odds are, you haven't heard of a lot of the comics on this page, which is why I’m writing this. I love recommending things. Here's some funny stuff. Assume the links are not safe for work or children. I'll give a few intro pieces and then, if something really tickles you, a recommendation for where to go from there. This may involve spending money. Please spend money. A lot of these folks, talented as they are, don't make a lot. Some of the things I link to here are really offensive to right-thinking peoples. I do not endorse the contents of the linked videos. Of course. I don't care for some comics I linked to, but I mentioned them because they belong in a survey of the field. If you don't like one of these people or I don't mention someone you love, you should get really REALLY angry at me. Finally, I've only mentioned comics who are alive and actively working, because this is a vibrant and active art form. (Sorry, Patrice O'Neal, Mitch Hedberg, and George Carlin fans.) All I wanted to do was post a bunch of funny YouTube links and waste your afternoon. Why are you so angry? OK. Seatbelts on? Then here we go. The great gateway drug to alt-comedy, a tireless genius, one of the funniest people alive, and the voice of the Remy the rat in Ratatouille. You want to know whether this brand of comedy is for you? Then listen to this, his famed steak house routine. If that goes down easy, his Sky Cake (his awesome deconstruction of religion) and KFC Famous Bowls routines are terrific. Want More? - Oh, there's a lot of it. His Werewolves & Lollipops album is fantastic, and all of it is on YouTube. Or you could, you know, spend money. I shouldn't be putting this guy at #2. Patton is #1 because he's my sentimental favorite, but Louis has been on fire for the last few years. His TV show on FX is mind-bending and terrific, and his last two comedy albums are as good as any ever created. The big gateway for him is this viral video about how "everything is amazing right now and nobody is happy." Or this incredibly dirty and hilarious portrait from a crumbling marriage. Want More? - Get his albums Chewed Up and Hilarious. They are as good as this stuff gets. It didn't get long to get to the obscure folks here. 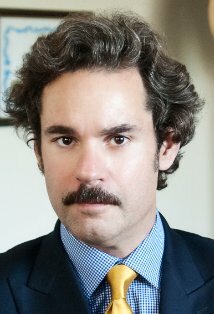 Paul F. Tompkins alternates between comedy and storytelling, and he's terrific. My personal favorite routine is his decisive answer to the eternal question: What's better ... Cake or Pie? And this hilarious routine about his mother's conversion to atheism before she died is a perfect example of the weird edginess of alt-comedy. Want More? - His album Freak Wharf is a delight. On the free end, his HBO special Driven To Drink is on YouTube, and it's a great example of the storytelling end of his work. Her specialty is playing different characters with wildly varied voices, and she is as good at is as they get. Patton Oswalt described her as an alien who came to Earth to tell racist jokes about humans. She is very good recorded but far better live, where you can see how she uses her face and body. 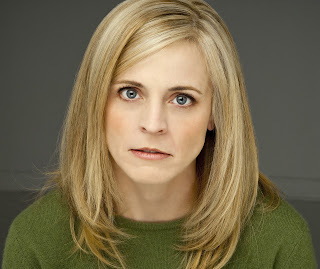 To get a good look, go to YouTube and watch the Maria Bamford Show, a 20 part series of short films showing off many of her best bits and characters. Want More? - Her album Unwanted Thoughts Syndrome is very good, but it loses something from not being able to see her. Go. Spend money! Foul-mouthed, profane, and hilarious. She is coming up so fast that she should almost be considered mainstream at this point, and very good. She is not unlike Sarah Silverman, a comparison that is probably starting to annoy her greatly. She first gained a lot of attention for her routine on a Comedy Central roast, and her recent special is on teh YouTubez. Want More? - Buy her album Cutting and play it for your grandmother. 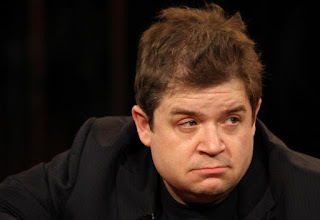 Reasonably well known for his roles on Funny People and Parks & Recreation. His bits on Craigslist and bedsheets are great examples of his awesome nerdy hostility. Want More? - Intimate Moments From a Sensual Evening is a great album. You can get his newer special, Dangerously Delicious, on his site for five bucks. Worth it. You haven't heard of her. I just picked her as an example of the countless insanely talented people toiling in show business, producing awesome stuff in the hope of breaking big. It makes me angry that she isn't rich, but Hollywood is a merciless place. Her videos are fantastic. Want More? - So do I! Will someone please give this woman a multi-million dollar development deal? A comedy music duo based in L.A. I've linked to their videos on this blog before. They are one of the best examples I can think of how YouTube can help someone get the fame and career they deserve. Their YouTube channel can murder an afternoon. These three are my personal favorites. They tour, and they're a lot of fun live. Want More? - Their albums All Over Your Face and Slippery When Moist are on iTunes! Kyle Kinane is a bitter, angry misanthrope on stage, which is already funny. That he can be so angry while saying things that are perfectly reasonable and true makes him excellent. 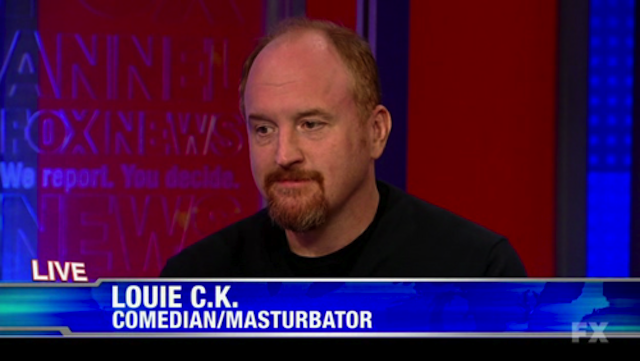 For example,here are his routines on Trader Joe's or insomnia. Want More? - His album, Death of the Party, is super-solid. Eddie Pepitone. Tig Notaro. Donald Glover. Brian Posehn. David Cross. Zach Galifanakis. (Now more of a movie star.) Dana Gould. (This routine is killer.) Nick Swardson. Sarah Silverman. Doug Benson, king of the stoner comics. And, of course, the legendary Margaret Cho. It's a varied field. If you don't like one (Sarah Silverman can be incredibly polarizing, for example), you might like another. But if you put any of those names into YouTube, something will pop up that is worth your time. If I didn't mention someone awesome, tell me about them in the comments! And go to live shows! They're great. They make money for people who deserve money. And it'll get you out of the house. Don't forget to tip your server.